At LEA we believe the first step to protecting and preserving our lakes is understanding them and growing to love all the parts that make them function as an ecosystem. Our education programming is geared towards hands-on, immersion based learning that is based on the unique characteristics and environment of our area. 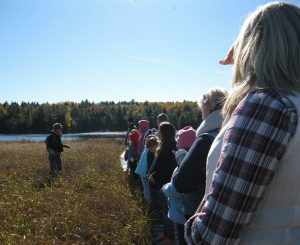 We offer lake and watershed based educational programming in seven area schools and courses, presentations, and workshops for adults and children year round at the LEA offices, Maine Lake Science Center and on local trails and preserves. We strive to make sure our school based curriculum meets current educations standards and we are always changing the topics and presentations in our events calendar. To find out more about our educational programming, please explore the links on your left.